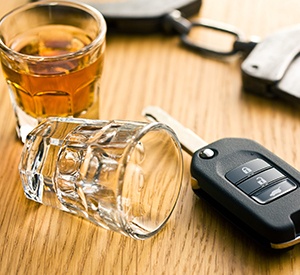 Laws governing OUI/DUI in Massachusetts can often change. Most of the time, these changes are due to rulings handed down by courts, whether trial courts or appeals courts. These are known as decisional law changes. However, every few years, it is not uncommon to see the state Legislature make changes to Massachusetts OUI/DUI laws, and other, areas of law. These statutory law changes typically are the result of a public lobbying campaign by special interest groups, usually following some very public tragedy, widely reported by the media. In October 2005, Melanie’s Law was passed by the Massachusetts Legislature. It was the result of a lobbying campaign driven by relatives and friends of a young girl who was killed by a repeat drunk driver. The law became effective in January 2006, and it substantially increased the then-existing penalties for Massachusetts OUI/DUI. Primarily, Melanie’s Law: 1) Changed the penalties for refusing to take a breathalyzer test or blood alcohol test; 2) Changed the penalties for taking a breathalyzer or blood test, and ‘failing’ it; 3) Created a new requirement for Ignition Interlock Devices (IID’s) for most 2nd offenders;. and 4) The law also created entirely new offenses and penalties for operating under the influence in Massachusetts. More detailed information on breathalyzer and blood alcohol tests can be found on our Massachusetts Blood Alcohol Content Standards & Penalties page. Detailed information on the entire range of Massachusetts OUI offenses and penalties can be found our Massachusetts OUI/DUI Laws & Penalties Page. If you or someone you know has been arrested or charged with OUI/DUI in Massachusetts, Call or contact our office for a FREE INITIAL CONSULTATION. Refusing a breath test cannot be used against you by the prosecution at trial; it is inadmissible evidence. A breath test refusal cannot be commented on in any manner by the prosecutor. While the police must inform a driver of the consequences of refusing to take a breath test, the police are not required to inform you of the consequences if you take the test and fail it - see below, Penalties For Failing a Breathalyzer Test. If you refuse to take a breath test and are later acquitted of the OUI charge, your license can sometimes be reinstated by the Registry of Motor Vehicles, prior to the expiration of the 180-day test refusal suspension period. If you are later convicted (or agree to any plea that equates to a “conviction,”) the license suspension for the conviction will run from the date of the refusal suspension (i.e., the date you refused to take the test.) The suspension period will depend upon whether you have any prior convictions. Upon refusal to submit to an alcohol test, police officers are required to confiscate your driver’s license on the scene. The officer will give you a notice of license suspension, and your vehicle will be impounded. The same is true if you do take the test and ‘fail’ it – i.e., register blood alcohol content equal to or higher than the values indicated in the paragraph immediately below. If you or someone you care about has been stopped by police and you refused to take a Breathalyzer or blood alcohol test, Call or contact our office for a FREE INITIAL CONSULTATION. We can advise you of any possible legal options you may have at this stage. If you are over the age of 21 and “fail” the breathalyzer test – i.e., produce (“blow”) test results of .08 or higher - the automatic license suspension is the earlier of thirty (30) days, or until the case is disposed of, whether by trial, a plea agreement or a dismissal. No 15-day temporary license is available for breath test failure suspensions. If you or someone you care about has ‘failed’ a Breathalyzer or blood alcohol test, Call or contact our office for a FREE INITIAL CONSULTATION. We can advise you of legal options to contest these test results. Aside from the above changes to Breathalyzer tests, Melanie’s Law created an entirely new requirement for defendants who are convicted (or who enter any plea equating to a “guilty” plea) of 2 or more Massachusetts OUI offenses: This new requirement is the Massachusetts Ignition Interlock Device (IID) Program. Under the program, the Massachusetts Registry of Motor Vehicles requires OUI/DUI offenders who have been convicted two or more times to install a state-approved Ignition Interlock Device in their vehicle, if they are issued a Massachusetts hardship license, or when and if their regular license is fully reinstated. An Ignition Interlock Device is mounted on the inside of the vehicle, and requires a driver to blow into a tube prior to starting the vehicle. If the device registers a blood alcohol level of higher than .02, it will prevent the engine from starting. To make sure that offenders under this program don’t intentionally disable or damage the device, the operator is required, every 30 days, to report to the vendor that originally installed the device, who will the download and transfer data from the device to the Registry of Motor Vehicles. The RMV documents this operator IID data. The IID requirement applies whether the offender owns a vehicle or leases it. Upon proof that an Ignition Interlock Device has been properly installed, a driver’s license for a multiple offender can possibly be reinstated, but with a “Z Restriction” placed on the license. The “Z” stands for “Zero tolerance" for drunk driving. Any police officer examining the license at a road stop, will know immediately that the driver is only allowed to operate a vehicle equipped with a state-approved Ignition Interlock Device. If someone with a “Z Restriction” driver’s license is found to be operating a vehicle without an IID, that operator is going to find him or herself in some serious legal trouble. Offenders eligible for this program can locate private vendors who sell and install state-approved Ignition Interlock Devices at more than 30 locations throughout Massachusetts. Note: Installation of the device is done entirely at the operator’s expense, and it isn’t cheap. Any offender who is issued a Massachusetts hardship license is required by law to use and maintain the device for the entire duration of the hardship license, plus two additional years following reinstatement of the operator’s regular license. If a driver had his/her license suspended for five years or more because of a refusal to take a Breathalyzer or blood alcohol test, (see Automatic Suspension Periods for Refusing A Breathalyzer Test, above) and for some reason a court ordered early reinstatement of the operator’s license, that operator will still be ordered to operate his/her vehicle with this device for the duration of the test refusal suspension period. Note: In some circumstances, for 2nd offenders whose 1st offense is more than 10 years old, the IID requirement can be avoided. See our Massachusetts OUI/DUI Laws & Penalties page for more details. For additional information regarding the Massachusetts Ignition Interlock Device Program, Call or contact our office for a FREE INITIAL CONSULTATION. Governed by Massachusetts General Laws Chapter 90 Section 12, this law makes it a crime for anyone to employ or hire another person to operate a motor vehicle, when that person’s driver’s license has been suspended. While the penalty for first offenders is limited to a fine of five hundred dollars ($500.00), second and subsequent offenders face up to one year of incarceration in a House of Correction, together with a fine of up to one thousand dollars ($1,000.00.) The goal of this provision, obviously, is to make employers more diligent in their background searches and hiring of employees who operate motor vehicles. This law is also governed by Massachusetts General Laws Chapter 90 Section 12 and renders it a crime for a person to knowingly allow an unlicensed person, or a person whose driver’s license has been previously suspended or revoked, to operate his (the “lender’s”) own vehicle. Punishment for a conviction of this offense is a fine of five hundred dollars ($500.00,) and incarceration of up to 1 year in a House of Correction. For defendants convicted of a second and subsequent offense, the fine increases to one thousand dollars ($1,000.00,) and maximum incarceration of 2 1/2 years in jail. M.G.L. c. 90 S12 provides serious criminal penalties for anyone who permits another person who has been ordered to install an Ignition Interlocking Device (IID) in his/her own vehicle, to operate another vehicle not equipped with this type of device. Defendants convicted of a first offense face up to one year incarceration in a House of Correction, together with a fine of five hundred dollars ($500.00.) Defendants convicted of a second and subsequent offense face incarceration of 2 ½ years in a House of Correction and fine of one thousand dollars ($1,000.00.) Obviously, this law is designed to discourage friends from “loaning” their car to someone whom they are aware has been ordered to install an IID in their own car. Additionally, defendants convicted of any of the offenses under Massachusetts General Laws Chapter 90, Section 12 can potentially be ordered to surrender his/her driver’s license for a maximum of one year. An additional provision of Melanie’s Law creates separate, stricter penalties for drunk driving if there is a young child in the vehicle at the time that the operator is arrested. Massachusetts General Laws Chapter 90 Section 24V created a new crime for a person to operate a motor vehicle while under the influence (OUI/DUI) while a child fourteen years old or younger was in the vehicle. Defendants convicted of a first offense face anywhere from 90 days to 2 ½ years’ incarceration in a House of Correction. There is also a fine of one thousand ($1,000.00) to five thousand dollars ($5,000.00,) and defendants convicted of a first offense lose their driver’s license for one year. Things get much more serious the second time around: Convictions of a second offense result in a felony. Defendants convicted of a second or subsequent offense will face a mandatory minimum sentence of six months in a House of Correction (Note: “Mandatory minimum sentence” means the judge has no choice but to impose at least that much jail time,) and potentially up to five years incarceration in state prison. (Note: State prison is very different from a House of Correction, which is a County Jail housing inmates who have been convicted of much less serious offenses, or who are awaiting trial. State prison facilities house inmates who are considered quite dangerous.) Additionally, defendants convicted of a second and subsequent offense under this chapter will lose their right to operate a vehicle in Massachusetts for three years. We’ve all seen news reports in the media of a drunk driver who was operating a vehicle after his/her license had been previously suspended for a prior Massachusetts OUI/DUI offense. This new law was designed with this offense in mind. Massachusetts General Laws Chapter 90 Section 23 created a new and separate crime for persons who were convicted of OUI, yet were operating after their driver’s’ license was suspended or revoked for the prior OUI offense. A defendant convicted of this offense faces a mandatory minimum sentence of one year, and a maximum of 2 ½ years in a House of Correction. There are also fines attached to a conviction, ranging from two thousand five hundred dollars ($2,500.00) to five thousand dollars ($5,000.00.) In addition to these penalties, defendants convicted of this offense will also lose their driver’s license for one year. 6. New offense of Manslaughter While Operating A Motor Vehicle. Governed by Massachusetts General Laws Chapter 90, Sec. 24(a) (1), this law creates a new criminal penalty for causing the death of another person while operating under the influence of alcohol. This crime is separate and apart from the charge of motor vehicle homicide, (which may or may not occur due to a driver operating under the influence of alcohol,) and provides for harsher penalties. Manslaughter, is defined legally as “an unlawful killing unintentionally cause by wanton or reckless conduct” (conduct that created a high degree of likelihood that substantial harm would result to another person). Under Melanie’s Law, the penalty for anyone convicted of Manslaughter While Operating a Motor Vehicle is a mandatory minimum sentence of five years, and up to a maximum of 20 years, in state prison. Fines ranging to $25,000.00 are also imposed, and the convict’s driver’s license will be suspended by the Registry of Motor Vehicles for a minimum of 15 years, up to lifetime revocation. Melanie's Law specifically empowers a District Attorney to petition the court for forfeiture of a defendant's vehicle, following a fourth or subsequent OUI/DUI conviction or guilty plea. And they will. Since you are reading this Page, it may well be that either you or someone you care about has been arrested or charged with a Massachusetts OUI/DUI offense. If so, you are facing serious criminal penalties, and you are at a critical stage in this situation. Do NOT take chances with who you hire as your defense attorney: Attorneys who take these cases only occasionally as part of a general practice, are not usually experienced enough to know how to secure the best legal result possible. Call or contact our office for a FREE INITIAL CONSULTATION. We will be happy to assess your situation and recommend the best legal options possible, given your individual circumstances. Successfully defending these cases demands years of dedicated expertise, with a proven track record of success. If you or someone you know is facing a Massachusetts OUI/DUI charge, the stakes have already become too high. We know how to very effectively defend these cases, and we have the successful track record to prove it. We don’t just defend you – we rescue you. Call or contact our office for a free initial consultation. Don’t skimp on the quality and expertise of the Boston Massachusetts OUI attorney that you hire. Your future is too valuable, and the right choice is worth the expense. Melanie’s law changes, while excerpted specially here, are reflected in all the penalties discussed on my Massachusetts OUI/DUI Laws & Penalties Page.